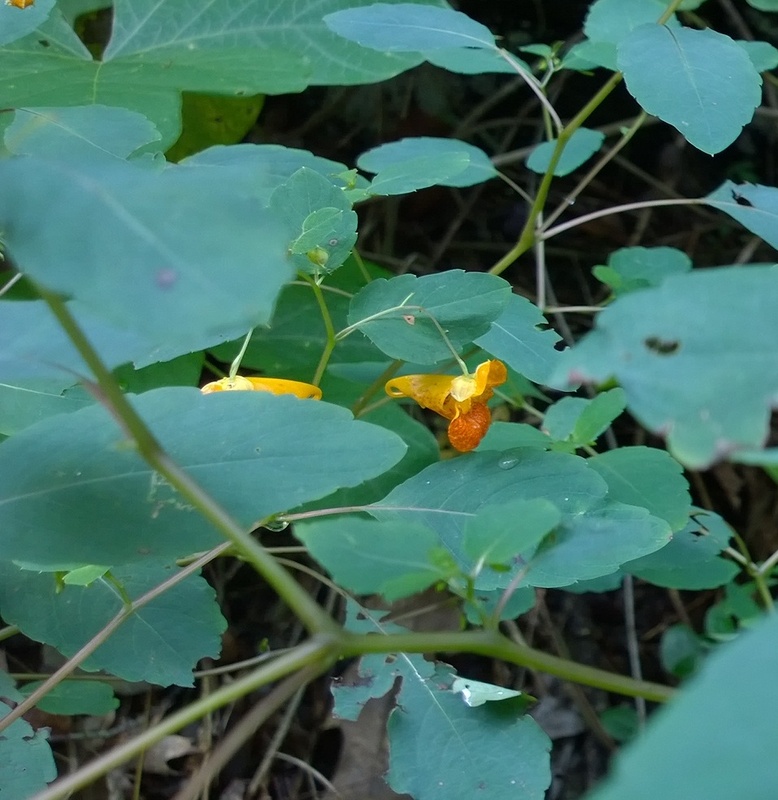 Say hello to Impatiens Capensis – Wild Lady’s Earrings… or Jewelweed… or Wild Touch Me Nots… she’s not picky. 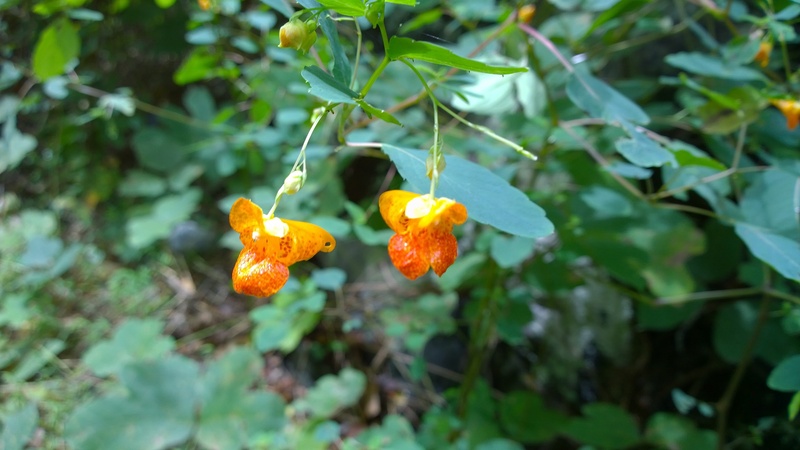 A wild variety of the Impatiens Species, Lady’s Earrings are commonly found inhabiting wet boggy areas, cool woods, and occasionally along roadsides in wet ditches. Recognizable by the translucent plant stems and horizontal hanging flowers, Lady’s Earrings differ from other wild flowers as they are annuals – reproducing only from cast-off seeds as opposed to rhizomes or hardy root structures like a great many other wildflowers. As the name implies, Touch Me Nots produce explosive seed pods at each flower location like Sultanas and other members of the Impatiens species; the ribbed pod shredding apart and scattering seeds as far as 10′ in distance. The other common variety, Impatiens Pallida, are more readily found in slightly drier conditions on the edge of pastures and in open roadsides appearing somewhat less colorful with pale yellow blooms and thicker, bushier plant structures. In medicinal circles, crushing the leaves of the plant and applying the paste to poison ivy and insect bites will reduce discomfort, and the chemicals in the the sap are know to neutralize urushiol oil – the main cause of poison ivy lesions.